Most people today know someone who has been affected by Alzheimer’s disease. It is the most common cause of dementia, accounting for about 60 to 80 percent of all dementia cases. People who have dementia lose memory and cognitive (thinking) abilities, and can also experience altered speech and perception. These losses make it difficult for people with Alzheimer’s disease to function on their own in daily life. National estimates suggest that about 5.7 million people in the U.S. are living with Alzheimer’s disease, a number that’s projected to soar to 14 million by 2050, according to the Alzheimer’s Association. Aging is the most common risk factor, but Alzheimer’s can begin in middle age, too. Approximately 200,000 people in the United States have early onset Alzheimer’s disease, which begins before age 65. Alzheimer’s also impacts the friends and family of those who have it. Friends and family provide 83 percent of care for older adults in the U.S., and nearly half of them provide care for someone with Alzheimer’s or another form of dementia. Only a qualified physician can conclude with high certainty that a living person has Alzheimer’s disease. But the following eight symptoms are strongly associated with the disease. If your loved one is displaying these symptoms, it would be wise to seek medical evaluation. Does he or she forget the names of recent acquaintances or younger family members, such as grandchildren? Are the lapses happening more frequently (several times a day or within short periods of time)? Is this forgetfulness unusual for the person (for example, sudden memory lapses in someone who took pride in never needing grocery lists or an address book)? Everyone forgets some things sometimes. But your loved one may have Alzheimer’s disease if you notice these more significant memory lapses. Having problems with memory is the first and foremost symptom noticed. It’s a typical Alzheimer’s symptom to forget things learned recently (such as the answer to a question, an intention to do something or a new acquaintance) but to still be able to remember things from the remote past (such as events or people from childhood — sometimes with explicit detail). In time, even long-term memories will be affected. But by that point, other Alzheimer’s symptoms will have appeared. Does the person have difficulty finding the “right” word when he’s speaking? Does the person forget or substitute words for everyday things (such as “the cooking thingamajig” for a cooking pot or “hair fixer” for comb)? Of course it’s normal for anyone to occasionally “blank” on a word, especially words not often used. But it’s considered a red flag for Alzheimer’s if this happens with growing frequency and if the needed words are simple or commonplace ones. This can be a very frustrating experience for the speaker. He or she might stall during a conversation, fixating on finding a particular word, or replace the right word with another word. This substitute could be similar enough that you could guess at the meaning (“hair dryer” instead of “hairdresser”), especially early on in the disease process. Or it could be completely different (“bank” instead of “hairdresser”) or nonsensical (“hairydoo”). Has the person who’s usually assertive become more subdued (or vice versa)? Has the person who’s reserved become less inhibited (or vice versa)? Does he or she withdraw, even from family and friends, perhaps in response to problems with memory or communication? Has the person developed mood swings, anxiety, or frustration, especially in connection with embarrassing memory lapses or noticeable communication problems? Has he or she developed uncharacteristic fears of new or unknown environments or situations, or developed a distrust of others, whether strangers or familiar people? 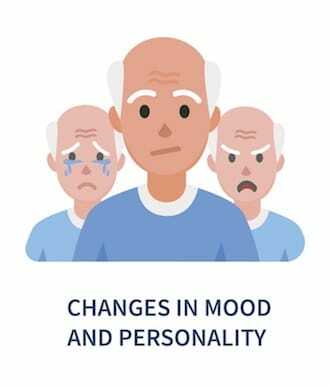 Mood shifts are a difficult sign to link definitively to Alzheimer’s because age and any medical condition may spark changes in someone’s mood, personality or behavior. But in combination with other Alzheimer’s symptoms, mood changes such as those described above may contribute to a suspicion of the disease. A person with Alzheimer’s may also become restless and/or aggressive, but usually in later stages of the disease. Does the person have trouble paying bills or keeping finances in order, tasks he previously had no problem completing? Does he or she have trouble following along with a discussion, understanding an explanation, or following instructions? Abstract thinking becomes increasingly challenging for someone with Alzheimer’s, especially if the topic is complex or if the reasoning is sequential or related to cause and effect. Is the person less engaged in a hobby that once absorbed her (bridge, painting, crossword puzzles)? Does he or she stop in the middle of a project, such as baking or making a repair, and fail to complete it? Has the person stopped using a particular talent or skill that once gave her pleasure (sewing, singing, playing the piano)? Activities with various different steps, however routine and familiar, can become difficult to complete for a person with Alzheimer’s. Your loved one might become distracted or lose track of where he or she is in the process, feeling confused. Or the person might just lose interest altogether and leave a project unfinished. Alzheimer’s or some other form of dementia is especially suspect when the difficult or abandoned activity is something the person formerly delighted in and excelled at, or used to engage in frequently. Has the person begun to be disoriented in new or unfamiliar environments (such as a hospital or airport), asking where he or she is, how he or she got there, or how to get back to a place that’s recognizable? Has the person become disoriented in an environment she knows well? Does the person wander off and get lost in public (or get lost when driving or after parking)? Does he or she lose track of the time, day, month, or year? For example, after being reminded about a future doctor’s appointment over the phone, she may start getting ready for the appointment right away. Or they may have trouble keeping appointments and remembering other events or commitments. These examples of disorientation are all typical Alzheimer’s symptoms, more so in later stages of the disease but sometimes early on as well. Does the person “lose” items often? Do these items turn up in unusual places (such as finding a wallet in the freezer)? Losing track of glasses, keys, and papers happens to most adults sometimes, whether due to age or just a busy lifestyle. However, it may be a symptom of Alzheimer’s if this behavior escalates and if items are sometimes stored in inappropriate or unusual places, and the person doesn’t remember having put them there. Has he or she made odd choices regarding self-care (such as dressing inappropriately for the weather or neglecting to bathe)? Is it hard for the person to plan ahead (for example, figuring out what groceries are needed or where to spend a holiday)? 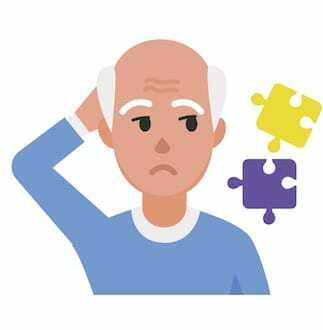 Difficulty with decision-making can be related to other possible symptoms of Alzheimer’s, such as lapses in memory, personality changes, and trouble with abstract thinking. Inappropriate choices are an especially worrisome sign, as your loved one may make unsound decisions about his safety, health or finances. Many of these Alzheimer’s symptoms go unnoticed for a long time. That’s because they’re often subtle or well concealed by the person (or a spouse), who may be understandably freaked out by the changes he’s noticing in behavior. Some patterns of behavior take time to become obvious. If you suspect Alzheimer’s, keep track of what you’re noticing. Ask others who know your loved one what they think. Encourage the person to see a doctor. If an aging loved one has started to show signs of Alzheimer’s disease, you may feel overwhelmed and unsure what to do. Your most important priority is to get a diagnosis. The earlier you can put a name to the problem, the easier it is to organize a care plan. Here are 6 steps you should take to get the right diagnosis. There’s no single test for Alzheimer’s disease or most other dementias. In fact, a definitive diagnosis can only be made after death, by examining brain tissue for telltale changes. But doctors can make a probable diagnosis of Alzheimer’s with as much as 90 percent certainty. It’s almost always family members, more than physicians, who spot the first signs of Alzheimer’s disease. Start by writing down observations that you and others make of the person you’re concerned about. You’ll be better able to notice patterns or changes in the frequency of certain behaviors than if you just keep a mental record. This evidence is incredibly useful when you speak with medical professionals and may even help when discussing the topic with family and friends. This same notebook can also serve as your “playbook” throughout your family’s journey, a central source of all the information that will be needed not only to make a diagnosis but to formulate an ongoing care plan. Having all the information you need in one place can be a valuable shortcut for families. Part of the determination about the condition will have to do with how much the person has changed or how much you think he or she isn’t “acting like himself or herself.” Be sure to note when you first noticed a particular change in behavior, physical ability or mental ability (or about how long the change has been occurring); how frequently it occurs; if it has worsened and how different or “abnormal” it is for him or her. Try to include as much information as you can about the person’s condition — not just things that you think are typically associated with Alzheimer’s. Other medical issues or unexpected changes (such as falling or incontinence) can be related to the disease. As soon as you suspect Alzheimer’s, invest a little time in familiarizing yourself with the disease. There are lots of myths about it and plenty of confusion. Having a basic understanding allows you to ask doctors more informed questions and recognize the signs to watch out for. Do not to jump to conclusions. 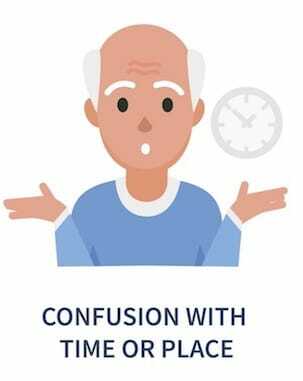 Various types of dementia, as well as other illnesses or situations, may result in changes that mimic signs or symptoms of Alzheimer’s disease (such as disorientation and mood swings or personality changes), so you’ll need to consult with a qualified physician before determining that it’s Alzheimer’s. An early diagnosis means that the right medications and lifestyle changes can be made to slow the disease’s progress and help preserve independence as long as is practical. Take the Alzheimer’s Association Brain Tour and learn how the brain works and how Alzheimer’s affects it. With the observations you’ve made of the person you’re concerned about and a basic foundation of knowledge about Alzheimer’s, you’re ready to consult with a medical professional. Start with the person’s regular primary care doctor. This professional is optimal because he or she has observed your family member over time. But if the doctor doesn’t seem particularly knowledgeable about dementia or doesn’t seem to be taking your concerns seriously, it’s probably time to see another doctor, ideally someone who’s experienced in treating dementia. Contact your local Alzheimer’s Association chapter, Alzheimer’s Disease Center, other Alzheimer’s program or hospital referral system. Seeing a geriatrician (a doctor who specializes in treating older adults) may be especially helpful. Be prepared for the appointment. Bring your notebook of observations, including a list of the medications he or she is currently taking and a list of questions you’d like to ask, as well as the person’s medical history if it’s a new doctor. Be sure to include a request for referrals to specialists (if necessary) in your list of questions. Arrange for some assistance. If you live far away and can’t be there for the appointment yourself, try to make sure that someone you all trust accompanies your loved one. Ask your loved one to sign a release permitting you to discuss their medical records and care with the doctor so you can call the doctor directly with follow-up questions. A medical history. 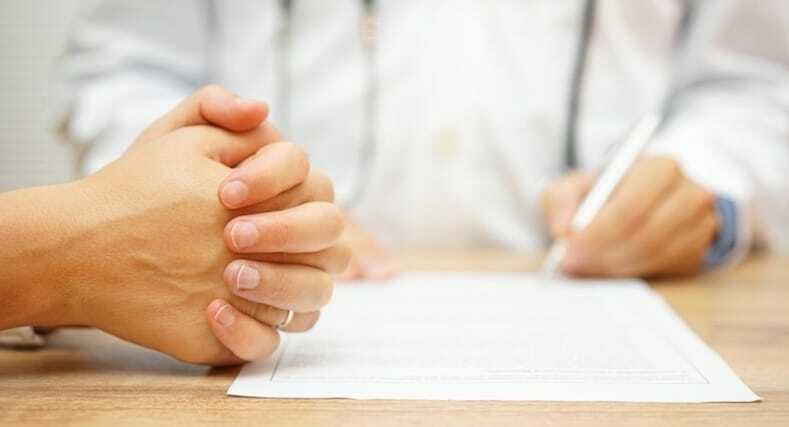 The doctor will ask a series of questions about medical conditions and illnesses your loved one has had in the past, any current medical symptoms or medications, and information about other family members’ health. The doctor may ask about other topics as well, such as diet and exercise. A physical exam. As in a regular checkup, the doctor will check the person’s vital signs — blood pressure, pulse and temperature — and also listen to the patient’s heart and lungs and check other physical characteristics. Diagnostic tests. The doctor will order urine and blood tests to check for certain infections or disorders that may be causing symptoms. Blood testing may be used to search for genes known to make Alzheimer’s more likely. A mental status assessment. 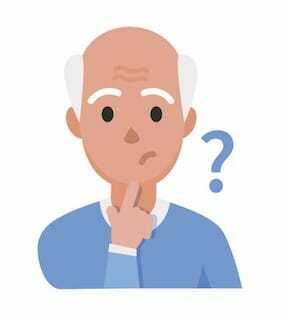 Your loved one will be asked to answer a series of questions and perform some activities in order to evaluate memory loss, disorientation, trouble with following directions or completing basic tasks, problem-solving ability, communication skills, and awareness of the problems he or she experiences. The doctor may also ask questions to assess for depression, anxiety, and other possible psychiatric problems. A neurological or neuropsychological evaluation. The doctor may test his or her physical coordination, reflexes, balance and speech, among other indicators of neurological health. A brain scan. It’s likely that the doctor will either order a CT (computer tomography) scan or an MRI (magnetic resonance imaging) scan to visually examine the condition of the person’s brain, including possible damage due to Alzheimer’s disease, trauma or strokes. Additional tests. The doctor may also order other tests or scans, such as a spinal tap, a chest X-ray, an electroencephalogram (EEG, to examine brain function by the electrical activity it generates), or a positron emission tomography scan (a PET scan, to examine the function of internal organs). 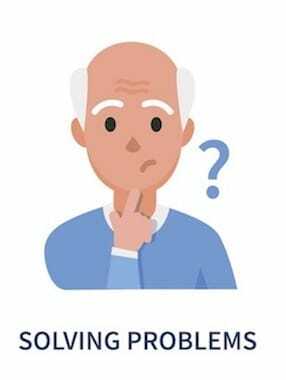 When Alzheimer’s disease is suspected or diagnosed, the doctor may recommend seeing a specialist, such as a neurologist, psychiatrist or geriatrician. This specialist will help confirm the primary diagnosis and advise you on Alzheimer’s care. He or she can also answer specific questions you may have about disease, its treatment and caregiving, and may be able to direct you to other helpful resources and support groups. 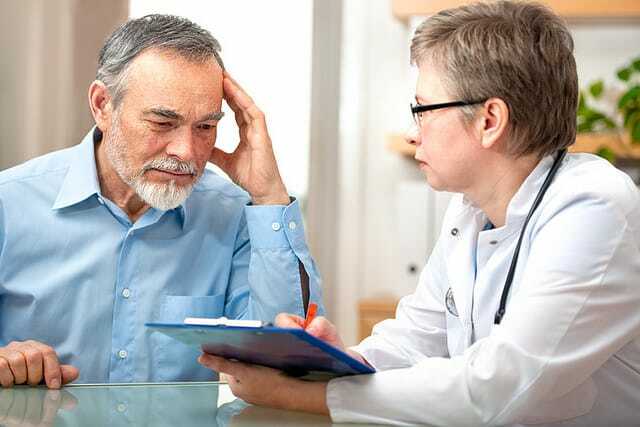 It’s often advisable to seek a second opinion about your family member’s condition (whether the diagnosis is probable Alzheimer’s or not), especially if you or the doctor is uncertain about it. Another experienced, skilled physician can review the findings of the tests and evaluations the person has already undergone. Assemble a team. If the diagnosis is probable Alzheimer’s, the next step is to start putting together an Alzheimer’s care team. Alzheimer’s care works best when it’s a shared responsibility — and when good resources and sources of support are available to the primary caregiver. Don’t forget your own concerns. In addition to powwowing with your family about options for your loved one’s care, be sure to start thinking about support for yourself (or the person who will be the primary caregiver). Financial, emotional, and physical stresses often build over time. There’s no single timetable for how the disease progresses, and your loved one may have many satisfying years ahead. Do what you can to ease the symptoms, to prolong his or her independence and dignity. To learn more about caring for someone with Alzheimer’s disease, visit our Guide to Alzheimer’s Caregiving. Alzheimer’s disease is a degenerative condition marked by a progressive decline in cognitive functioning. This decline, often coupled with emotional apathy, affects the person’s behavior and mood. People sometimes mistake forgetfulness or absent-mindedness in seniors for early signs of Alzheimer’s, but some memory loss is actually considered a normal effect of aging. You may have heard the terms “early, mid- and late-stage Alzheimer’s.” These are general terms that were used until the development of a more detailed framework with seven separate stages that measure progression of the disease. The system is known as the Functional Staging Assessment or FAST scale, developed by Dr. Barry Reisberg, director of the Zachary and Elizabeth M. Fisher Alzheimer’s Disease Education and Research Program at New York University Langone Health. Below, we’ll examine the seven stages of Alzheimer’s disease, distinguishing between the normal aging process and the signs and symptoms of Alzheimer’s. What is normal during the aging process? Be concerned about memory loss but be able to provide significant detail regarding specific incidents of forgetfulness. Have trouble finding the right word, but remember it later. Forget the day of the week or where he or she is going, usually remembering later. Need to pause to remember his or her way, even in familiar territory. Misplace keys or a wallet temporarily. Feel sad or moody occasionally, but be able to recover from it. Avoid work or social obligations, but show no decline in interpersonal skills. The FAST scale measures the decline of people with Alzheimer’s. Although each stage is distinct, due to a steady decline in cognitive function, there is still some overlap among stages. It can be helpful to view the scale as a spectrum, with the condition progressing as the person’s symptoms gradually increase and worsen. In this first stage, there is no obvious memory impairment. Clinical tests also show no measurable deficit. A person in Stage 2 shows very mild cognitive decline, usually showing some personal awareness of the change. This may include the person worrying that he or she is becoming more forgetful, although it is not obvious to a health care professional, family or friends. The person may forget names and temporarily misplace commonly used objects like keys or a wallet. During this stage, the individual may have difficulty concentrating on certain tasks and may falter during a conversation. He or she may also have difficulty retaining information that was just read or heard. Forgetting names and words becomes more frequent. Misplacing objects of value may occur. Some degree of confusion is common. Being unable to make proper clothing choices (for instance, selecting a sundress during the winter). Forgetting personal history, such as where he or she went to school. Withdrawing from social or challenging situations. 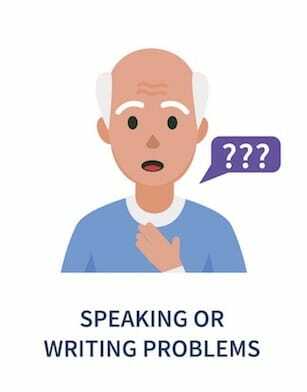 In the final stage of Alzheimer’s disease, most individuals have lost the ability to communicate verbally, although some may retain a few words. A severe physical decline is apparent. The person with Alzheimer’s will experience a progressive loss of basic physical abilities, including sitting, walking and even swallowing. Muscles become rigid from lack of use, and reflexes are abnormal. There is a disruption in the person’s circadian rhythm, which can upset sleeping patterns and contribute to disorientation and fatigue. While the cause of Alzheimer’s remains unknown, research shows that many factors can play a part in the development of the disease. Understanding normal aging patterns will help you distinguish them from the warning signs of Alzheimer’s. If you are uncertain, talk to your loved one’s doctor about getting a definitive diagnosis. 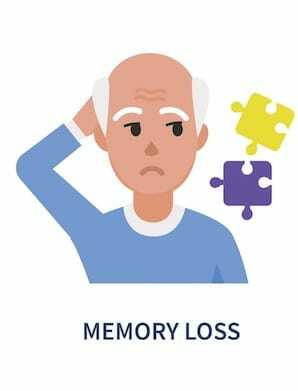 The memory loss and other cognitive changes that are characteristic of Alzheimer’s disease and most other forms of dementia can’t be reversed. But there are some proven ways to delay further decline, at least over the short term. The Rush Memory and Aging Project is a large ongoing longitudinal study looking at common chronic conditions of aging with an emphasis on decline in cognitive and motor function and risk for Alzheimer’s. A continuously updated list of scholarly publications featuring research conducted by study investigators can be found on the Rush University Medical Center website. A growing body of research indicates that stimulating the brain has the power to slow the progress of Alzheimer’s, particularly in the early stages. 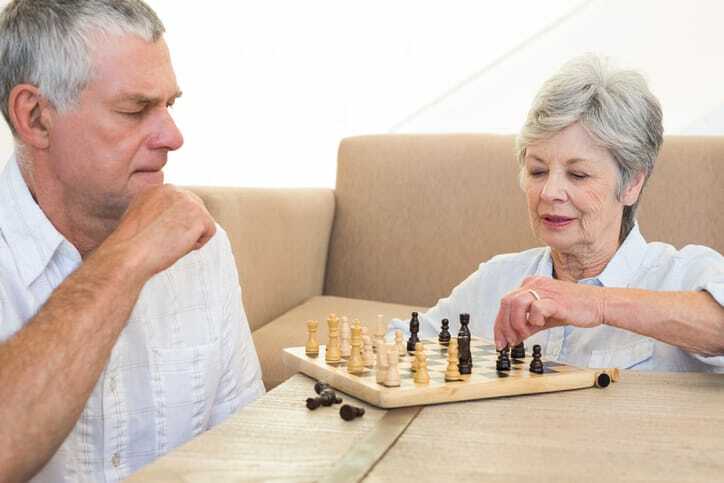 More frequent cognitive activity across someone’s life span is linked to slower cognitive decline later in life, according to the Rush Memory and Aging Project. Encourage the person in your care to participate in activities he or she finds pleasurable, especially those that engage the mind: reading, writing, playing the piano, working crosswords or puzzle books, playing games such as chess, or even learning a language. Make sure the person has fresh materials or plenty of opportunities. Local senior centers and adult daycare programs are more than just a way to “pass the time.” They often excel at providing stimulating activities, including group storytelling, music, arts projects and games. Some research suggests that activities are especially protective when they involve interacting with others. In fact, Harvard Medical School finds that socializing can bring significant benefits for brain health. Arrange for help around the home, if possible, but avoid relieving your loved one of all of his or her normal responsibilities. Participating in daily chores can be a type of mental workout, too. It’s important that someone with dementia find the activity pleasurable. If the person finds studying Spanish or learning to use a computer frustrating because of existing cognitive declines, don’t push it. Also avoid formal mental “exercises” or memory drills. They may stress your loved one, causing symptoms to worsen. Too much social activity can also be stressful. Outings are best when low-key (think small dinners as opposed to big parties) and under two hours. Simplifying the living environment and providing the tools to assist your loved one’s existing memory can help him or her maintain independence longer. This has the benefit of reducing stress and slowing further decline. Find ways to minimize any tasks the person may worry about. For example, you could arrange electronic bill paying, hire a lawn service, enlist a young neighbor to handle the laundry or cancel subscriptions to magazines that are no longer read. Help keep the person’s home free of piled-up newspapers, old mail and other clutter. Look into electronic reminder systems, note-keeping systems, or commercially available tools that can help to prop up a faulty memory. Be sure to make changes gradually. Too many abrupt changes — removing all the clutter from a messy home in one sweep, for example — can be disorienting and stressful to someone with Alzheimer’s or other forms of dementia and hasten the person’s decline rather than slowing it. Try to establish a regular daily rhythm for the person, with meals, sleep, outings, and bathing happening at about the same times each day. Schedule all doctors’ appointments at roughly the same time if you can, such as first thing in the morning or right after lunch. It’s not unlike the way a new parent organizes the day around a baby’s sleep-wake cycle. A good routine is one that’s healthy to begin with. Examples of negative routines worth trying to change: If the person is staying awake later and later and rising later, or if he or she has dropped all former social connections and rarely sees anyone. A clinical trial showed that vitamin E helps slow down mental impairment in people with Alzheimer’s. Vitamin E is an antioxidant that helps protect cells against damage. It has also been researched in conjunction with B vitamins. A large 2005 study found that healthy people who consumed more than 400 micrograms (the recommended daily amount for adults) of folate, a B vitamin that occurs naturally in many foods, cut their risk of developing Alzheimer’s in half. This slowing of cognitive decline is being studied to see if it’s also true once decline has started. This herb, traditionally used in Chinese medicine, comes from the dried leaves of the gingko (maidenhair) tree. It’s sometimes called the “memory herb,” after findings that it appears to help slow down cognitive decline for some people in the early stages of Alzheimer’s disease. To date, research studies making this claim have been criticized, however, and a randomized clinical trial sponsored in part by the National Institute on Aging and the National Center for Complementary and Alternative Medicine found the herb to be ineffective in reducing the development of dementia and Alzheimer’s disease in older people. Encourage the person in your care to inform her primary-care doctor about any supplements and herbs he or she has been taking and their dosages, and do so yourself if the person doesn’t. Bring the bottle, so the doctor can see exactly what’s being taken. Too much vitamin E, for example, can cause gastrointestinal problems and other side effects, and can be fatal to people with heart disease. In general, the best way to get important vitamins and minerals is to consume them from their natural food sources. One study in 2007 found that people with Alzheimer’s who most closely followed a Mediterranean-style diet (high in vegetables, legumes, cereals, fruit, fish, poultry, dairy, and monounstaturated fats — and low in saturated fats) lived an average of 1.3 years longer than those who consumed a Western diet (higher in saturated fats and meats, lower in vegetables). Try to make sure that your loved one is eating a diet low in saturated fats and rich in vitamins E, C and B. 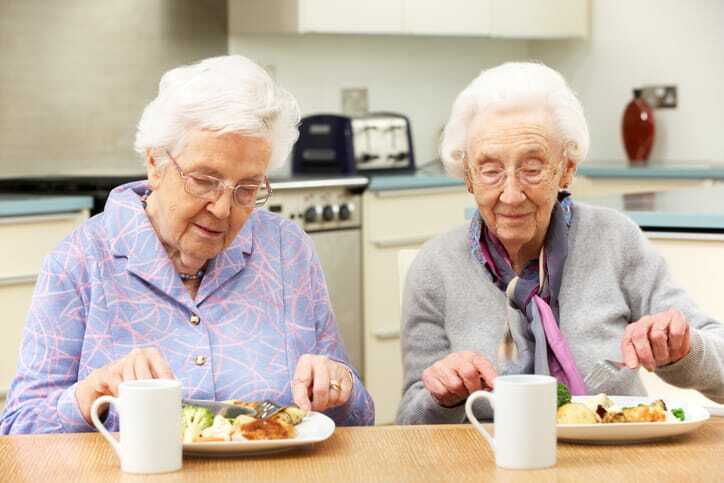 Older people’s diets often lack fresh fruits and vegetables (such as citrus, berries and leafy green vegetables), legumes (beans), whole-wheat or fortified bread, and nuts and seeds. Take a close look at the person’s eating habits. People with memory problems often slack off on cooking because even the familiar steps, as well as managing cutlery, become too challenging. The one thing scientists agree on concerning memory loss and supplements is that more research is needed. No single “magic bullet” has been found to stop memory decline in its tracks, and no supplements should be taken by people with Alzheimer’s or other forms of dementia without medical supervision. Five FDA-approved drugs are used to delay the symptoms of Alzheimer’s disease or prevent them from worsening for a limited time. Talk to your loved one’s doctor about which drugs might be appropriate. For mild to moderate Alzheimer’s, cholinesterase inhibitors — such as Aricept (donepezil), Exelon (rivastigmine) and Razadyne (galantamine), formerly called Reminyl — may be prescribed. These medications help keep the enzyme acetylcholinesterase from reducing acetylcholine, which affects mental capabilities and muscle control. The drug Cognex (tacrine hydrochloride) was prescribed in the past, but is no longer recommended. For moderate to severe stages of Alzheimer’s, the drug Namenda (memantine) is also used. This drug is an N-methyl-D-aspartate (NMDA) receptor antagonist, which regulates glutamate (a chemical messenger in the brain that’s associated with learning and memory). Not every drug works for all patients. And each involves possible side effects and interactions with other drugs the person in your care may be taking. Talk to the person’s doctor about whether any of these medications would be a good fit. Knowing the life expectancy of someone with Alzheimer’s can help your family prepare for the gradually increasing amounts of caregiving that eventually will be needed. Someone in the final stages of the disease, for example, requires constant hands-on care. Estimating life expectancy can help you and your family plan ahead for all the practical and financial issues you’ll face. The general rule of thumb is that a person diagnosed with Alzheimer’s can expect to live half as long as a peer who doesn’t have the disease. For example, the average 75-year-old can expect to live another 12 years. A 75-year-old with Alzheimer’s, in contrast, would be expected to live for six more years. It’s hard to gauge an individual’s life expectancy based solely on the stage of Alzheimer’s. That’s partly because the length of each stage (early/middle/late) can vary greatly from person to person. Some people live 15 or more years after diagnosis, including many years with relatively mild impairment, while others decline rapidly and die within a few years of being diagnosed. In general, someone who’s just beginning to show symptoms can be expected to live longer than someone of the same age with end-stage Alzheimer’s. 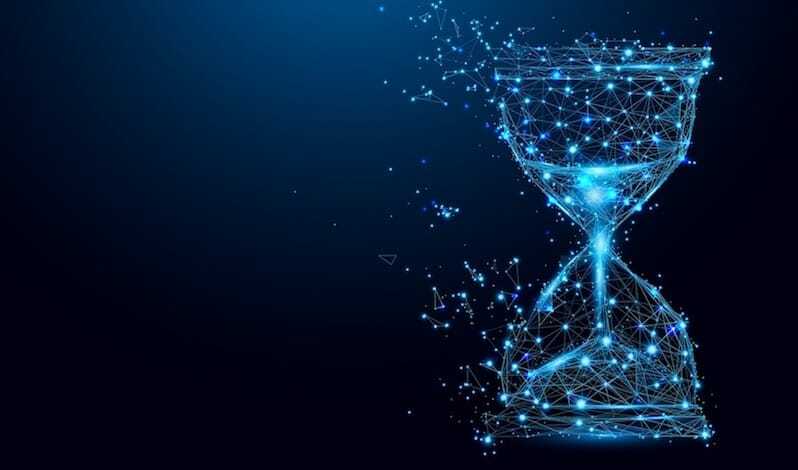 In the study, participants diagnosed with Alzheimer’s who also had arterial hypertension, or high blood pressure, were found to live for a shorter period of time after diagnosis than those without high blood pressure. Study participants with at least one first-degree relative (a parent, sibling or child) with Alzheimer’s were found to live longer on average than study participants without a family history of the disease. In a 2004 Washington University study, participants who scored worst on a commonly used memory and cognition (thinking skills) test, the Mini-Mental State Exam (MMSE), were found to have shorter survival rates.This test asks subjects to do a series of simple tasks, including answering questions about the date and place, remembering three objects, and counting backward by increments. An MMSE score refers to the number of correct answers given out of a total of 30. A five-point drop in score over the course of a year was linked to decreased survival rates among patients in the study. In the 2004 study, survival was also poorest among those aged 85 and older who had a history of diabetes or congestive heart failure or those who’d had a heart attack. 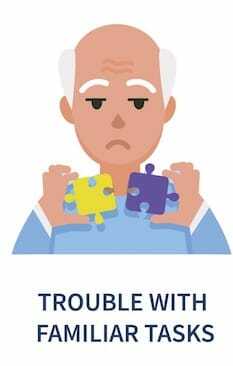 What often happens in people with Alzheimer’s disease is that their general health suffers when, in the late stages, they forget or find it difficult to eat, don’t sleep properly, lose motor skills and develop bedsores. This sets the stage for infection, such as pneumonia, or the worsening of other chronic ailments. It’s those factors, not the Alzheimer’s disease itself, that ultimately result in most deaths. Bear in mind that the statistics above represent group averages. Your loved one, of course, is an individual with a unique health history. And Alzheimer’s is a disease whose pace can vary widely from person to person. Still, having even a rough sense of what to expect can provide a glimmer of useful light at a difficult time. Among the many difficult behaviors Alzheimer’s caregivers must cope with, verbal and physical aggression may be one of the most upsetting. 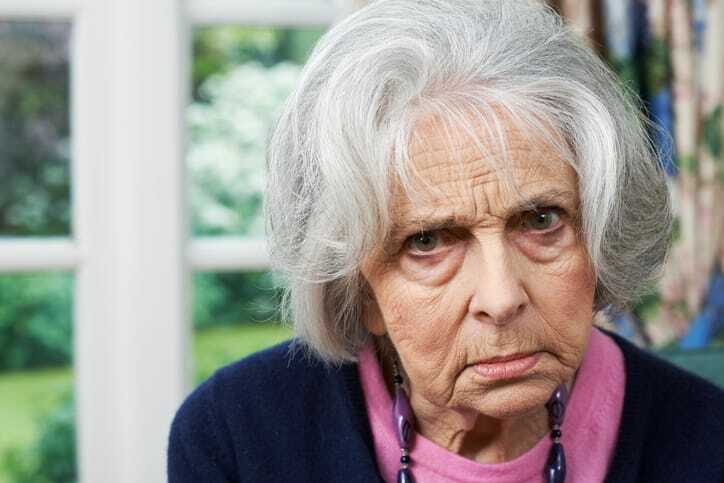 Aggressive behavior isn’t uncommon among people with dementia, and we include it here because this is a real consideration as Alzheimer’s disease progresses through the later stages. Geriatric psychiatrist Dr. Gary Moak, author of “Beat Depression to Stay Healthier and Live Longer,” says verbal and physical aggression affects as many as 90 percent of people with dementia at some point during the course of the illness. Experts say common triggers for physical aggression in those with Alzheimer’s include fear, confusion and an inability to communicate verbally, leading to frustration and anger. Some aggression may be the result of other medical problems, such as poorly managed diabetes or urinary tract infections, Moak says. He notes that any change in routine can trigger disturbed behavior in people with dementia, including violence. Difficulty with mundane processes that no longer make sense can also prompt a feeling of a loss of control, which can then lead to aggression. “Television programs that the person with dementia cannot understand, kitchen appliances they no longer know how to work, or family conversations they are unable to follow, also can lead to trouble,” Moak says. Likewise, if a person with dementia senses that someone around them is anxious, tense or irritable, it can also trigger aggression, he says. Understanding what triggers your loved one’s outbursts can help you react appropriately and possibly prevent physical aggression. If your loved one with dementia does lash out physically, there are a number of things you can do to help keep you both safe. Moak recommends the following when a violent outburst due to dementia occurs. Go along with the person, if necessary, as long as it’s safe to do so. (For example, if your loved one demands to be taken home when they’re already home, offer to take her home, but find a good excuse to delay doing so. If she still insists, take her for a drive around the neighborhood and return home). The doctor notes that side effects from some medications may also contribute to aggressive behavior in people with dementia. He advises having your loved one evaluated by a healthcare professional with expertise in dementia management for possible treatments. According to Moak, the best treatment for aggressive behavior may be in the caregiver’s hands. By changing their behavior or style, they may be able to create a less stressful environment for their loved one. “This involves adopting a calm, lighthearted demeanor, learning to adjust [your] style of interacting with the demented person, and learning specific behavioral approaches for troublesome behavior,” he says.